Palo Alto is a global leader in cybersecurity solution providing digital age solutions like firewalls across clouds, networks and mobile devices operating globally serving over 50,000 customers. 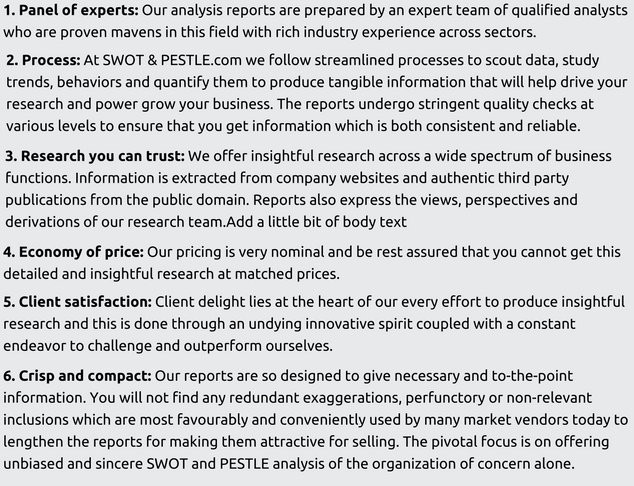 Founded in 2005 by Israeli-America Nir Zuk, it is headquartered in Santa Clara, California. Palo Alto Networks pioneering Security Operating Platform ushers in digital transformation with zestful innovation that combines the latest breakthroughs in security, automation, and analytics. Palo Alto Network employs more than 5,100 employees worldwide as of 2018. This American multinational cybersecurity global leader currently serves over 54,000 customers in 150+ countries across multiple domains. More than 85 of the Fortune 100 and over 63% of the Global 2000 depend on Palo Alto for their cybersecurity needs. Gartner has consistently ranked them as an enterprise firewall market leader since 2011 through 2017.The Company also featured on Fortune Magazine’s Top 50 companies changing the world (Sept. 2017) and Future 50 (Oct. 2017) lists. Palo Alto’s mission statement reads “to protect our way of life in the digital age by preventing successful cyberattacks.” Palo Alto Networks USP or unique selling proposition lies in being the global leader in cybersecurity solutions serving top notch clients across the globe with its revolutionary solutions in this digital age. 1.Strong association with partners: Palo Alto has built a strong network of channel partners and distributors. Their NextWave Channel Partner program is aimed towards building in-depth relationships with distributors and resellers by providing them with end to end expertise, learnings and pre-sales, sales and post-sales trainings. This helps them form a culture wherein distributors and channel partners not only promote their products but also invest in their training programs to help them explain the end customer how they can extract maximum benefit out of the products. Palo Alto provides its partners with variety of custom built solutions to cater to their varied needs. Because of their 100 percent channel centric approach, nearly 500 of channel partners doubled their Palo Alto Network business in FY16. 2.Technical, Infrastructural and R&D adeptness: With cyber technology growing exponentially it becomes more than essential for firms in cyber security space to evolve and provide cutting edge solutions at an even rapid stage. Palo Alto Networks combine their proprietary hardware and software architecture to provide comprehensive security platform. Deep expertise of R&D along with close eye on applications and threats allow them to respond to the rapidly changing cyber security landscape with R&D expense of $347.4 million in FY17. App-ID, Content-ID, SP3, PAN-OS, Wildfire and Traps are perfect example of cutting edge industrial solutions to cyber threats like WannaCry, being offered by Palo Alto Networks. Advanced products along with high-quality services have definitely helped the company win large contracts. Palo Alto supports research and development effort with technologies and products that they license from third parties. Products undergo rigorous testing to certify and ensure interoperability with third-party hardware and software products. Palo Alto’s R&D expense was $347.4 million, $284.2 million, and $185.8 million in fiscal 2017, 2016, and 2015, respectively. 3.Growing strategic partnerships: Palo Alto has entered into multiple strategic partnerships with large cloud providers such as Amazon’s AWS (Amazon Web Services) and Microsoft’s Azure making Palo Alto’s products easily accessible to clients and driving customer growth. Palo Alto Networks is adding 12,500 new customers, at an average of ~2,500 clients per quarter owing to these partnerships. Partnerships with VMWare, Google Cloud Platform has also helped them provide subscriptions to clients increasing the customer base and reachability. Palo Alto is renowned for partnering with elite leaders, such as Accenture, Amazon Web Services, Google, Microsoft, Proofpoint, PwC, Splunk, Tanium and VMware. Partnerships with such leading firms also has helped Palo Alto develop and enhance its many of the existing solutions and offerings making them more advanced and upgraded to face the challenges of the current world..
4.Support and Subscription model: Palo Alto Networks offer a number of subscription and support model as part of their platform which accounts for more than 60% of its revenue and continues to maintain a strong double digit growth due to higher customer retention and addition. Of the many subscription offerings, Threat Prevention Subscription, URL Filtering Subscription, WildFire Subscription, and GlobalProtect Subscription are marketed as options to their firewall appliances and software, whereas VMSeries, Traps, AutoFocus, Aperture, GlobalProtect cloud service, and Logging Service are sold on a per-user, per-endpoint, or capacity-based basis. Palo Alto’s subscriptions business provides its clients and channel partners with real-time access to the latest antivirus, intrusion prevention, web filtering, and modern malware prevention facilities across fixed and mobile devices. Also the increased digital transition across industries and growing security threats have helped in boosting the company’s subscriptions and support business. Palo Alto also offers variety of support services like Standard Support, Premium Support and 4 hour Premium Support to its end customers and channel partners. In fiscal 2018, subscription and support revenue climbed 26% YoY to a whopping $319 million. 1.Trade barrier and political instability: Palo Alto Networks operates in Networking & Cyber security domain in more than dozen countries exposing itself to different types of political environment and political system risks. Rising trade barrier as imposed by Trump administration in addition to rising protectionism, tariffs is posing an immense challenge. Stringent visa policies is only adding to the pressure. With rising political instability in other part of the world, unstable and varying policies and regulations are also posing immense challenge to cyber security industries. With Palo Alto planning to open regional headquarters in eastern part of the world along with London, political environment posses a big question onto its ability for sustained growth. 2.Intellectual Property protection: The cyber security industry is largely characterized by the number of patents and intellectual property rights a particular organization is having in its bucket. Industry leaders in the enterprise security industry have extensive patent portfolios. Palo Alto currently have over 100 registered patents and continues to grow their patent portfolio and own intellectual property around the world as their success depends in part upon their ability to protect their core technology and intellectual property. Palo Alto actively seek to protect their global intellectual property rights by controlling access to use of their proprietary software and other confidential information through the use of internal and external controls. 1.Fluctuations in Currency Market: The increased political and economic uncertainty globally has caused sharp fluctuations in the currency market. With Palo Alto Network already present globally and its plans to open up region headquarters in eastern and emerging markets to increase its market cap, such market fluctuations in currency is definitely going to impact the evaluations and thus market sales and estimations badly as Palo Alto is already not doing good with its demand estimates. With still lot of formalities yet to be done in Brexit and more economies following the similar trend, it is going to become trickier for Palo Alto to manage these intricacies as these fluctuations cannot always be passed on to the end-consumer through price increases thus impacting the company's margins. According to the Company’s FY 2017, foreign currency transaction gains and losses and exchange rate fluctuations have not been material to the Palo Alto’s financial statements. 2.Government Intervention: Much of USA’s critical infrastructure including power grids, health system run on networks connected to internet which along with making it an effective system makes it vulnerable too for the nation on the whole. The executive order signed by former USA President, Mr. Barack Obama to establish standards in cyber security by allowing firms to share the classified cyber threat information with US federal agencies. Many of the government firms have open up to the public/private partnerships for cyber solutions though they still believe a lot of work still needs to be done in terms of making the companies understand their needs and way to manage the sensitive information and not just treat them as yet another costumer. 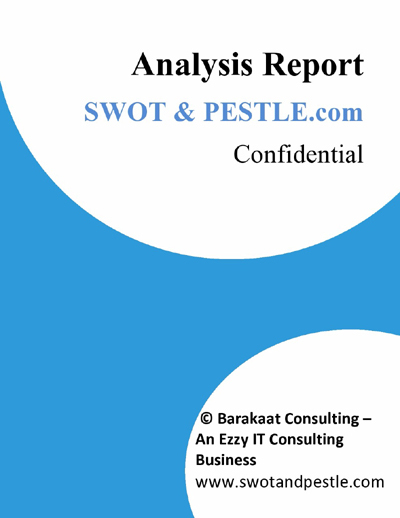 Palo AltoSWOT and PESTLE analysis has been conducted by Shobit Todi and reviewed by senior analysts from Barakaat Consulting. 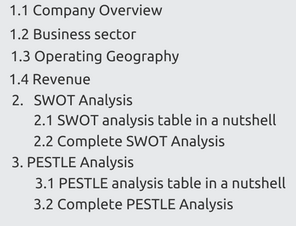 Copyright of Palo Alto SWOT and PESTLE Analysis is the property of Barakaat Consulting. Please refer to the Terms and Conditions and Disclaimer for usage guidelines.